Jennifer Rousseau will drive more than 1,600 miles out of Bay County, Florida — away from her hurricane-ravaged mobile home and the tent she lived in for weeks — until she reaches her new life in land-locked Durango, Colorado, this week. Rousseau, 34, didn’t have enough money to evacuate when Hurricane Michael, the Florida Panhandle region’s worst storm on record, made landfall in early October. But now she’s willing to do whatever she can to move away from the coast in hopes of ensuring she doesn’t end up in the middle of another superstorm. Rousseau’s circumstances aren’t unusual for a recovering storm survivor; natural disasters often force people from their homes, at least temporarily. But residents of the Panhandle who spoke to VICE News said the prospect of even more intense storms, and the subsequently difficult recoveries, made them want to leave. Their fears aren’t unfounded. Over the next century, landfalling hurricanes will grow more intense due to warming ocean waters, according to the Fourth National Climate Assessment, a government-commissioned report compiled by more than 300 scientists. (Separately, some scientists have hypothesized that climate change played a role in Hurricane Michael’s rapid intensification, although it’s not certain.) In just the last two Atlantic hurricane seasons, for example, eight major hurricanes — slightly more than average — have made landfall in the U.S. If such devastating storms become more frequent, they’ll bring with them a cascade of economic, infrastructure, and social burdens that could cause more people to move from coastal cities, according to the report. For those in places like Panama City, sticking around and risking another Michael — or even a potentially worse storm — already didn’t make sense. Hurricane Michael hit Panama City, a community of about 36,000 nestled between resort destinations, on Oct. 10 with 155 mph winds. The storm’s sheer force decimated more than 60 percent of the area’s homes, which drove up remaining rental prices, according to the Tampa Bay Times. With many local businesses still closed seven weeks later, some newly unemployed survivors don’t have a reliable income to adequately meet the challenges of the aftermath. Tent cities have sprung up in church parking lots. Damaged schools have left students re-enrolling in other districts in the middle of the academic year. One large hospital now provides emergency services only and plans to re-open at a quarter of its original size next year. In general, recovery could take years, especially factoring in other extreme weather events. Rousseau’s circumstances aren’t unusual for a recovering storm survivor; natural disasters often force people from their homes, at least temporarily. But residents of the Panhandle who spoke to VICE News said the prospect of even more intense storms, and the subsequently difficult recoveries, made them want to leave. Their fears aren’t unfounded. Over the next century, landfalling hurricanes will grow more intense due to warming ocean waters, according to the Fourth National Climate Assessment, a government-commissioned report compiled by more than 300 scientists. (Separately, some scientists have hypothesized that climate change played a role in Hurricane Michael’s rapid intensification, although it’s not certain.) In just the last two Atlantic hurricane seasons, for example, eight major hurricanes — slightly more than average — have made landfall in the U.S. If such devastating storms become more frequent, they’ll bring with them a cascade of economic, infrastructure, and social burdens that could cause more people to move from coastal cities, according to the report. Andrea Shoemaker wrestled with the idea of staying in her hometown of Lynn Haven, just outside Panama City, to deal with the storm’s aftermath. 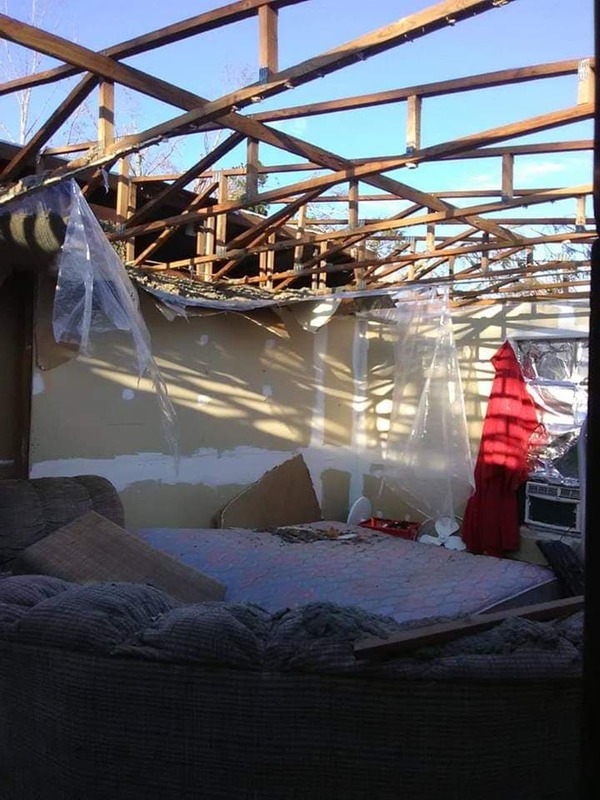 Luckily, Hurricane Michael left her family’s rental home intact — but destroyed the water and sewer lines, which rendered the property temporarily unlivable. The neighborhood’s destruction shocked her 9-year-old son so much that he laughed hysterically the first time they drove back into town after the storm. After weeks of debating, Shoemaker, 38, finally decided that she couldn’t stomach the same sort of chaos — or worse — twice. Shoemaker arrived in Houston, her husband’s hometown, on Monday, and she’s hoping they can both get back to work sometime soon. (He’s a police officer and she works in the legal profession.) Already, Bay County wasn’t a “great place to live, financially,” she said. "We had to go. I know that the storms are getting stronger." Extreme weather events like Hurricane Michael can put more stress on an already-strained local economy. If local businesses shut down and jobs are lost, for example, people might struggle to scrounge up enough money to rebuild. If someone like Shoemaker doesn’t feel they can feasibly move back into their home anytime soon, they might take their money or services to another town. Hurricane Michael, for instance, slammed the Gulf Coast with $30 billion in combined economic losses, including storm damage, according to early estimates. The Haas Center at the University of West Florida also estimated the storm resulted in the loss of nearly 9,300 jobs. And that still pales in comparison to Puerto Rico, which will lose an estimated 14 percent of its population — nearly half a million people — before 2019 due to Hurricane Maria, the Category 4 storm that slammed into the island in September 2017 and pushed many of the island’s poor into extreme poverty. Population and rates of affordable housing in New Orleans, for example, still haven’t returned to pre-Katrina levels. When President Donald Trump visited the states most impacted by Hurricane Michael in October, however, he declined to acknowledge any impact of climate change. Last week, he more plainly rejected the findings of the government-commissioned climate assessment in comments to reporters. The state’s outgoing and incoming governors, Rick Scott and Ron DeSantis, respectively, have largely avoided any mention of climate change as well. The storm smashed in all the windows of her mobile home, and she estimates fixing the damage will cost about $15,000, especially now that the black mold has set in. “I don’t got that,” she said.